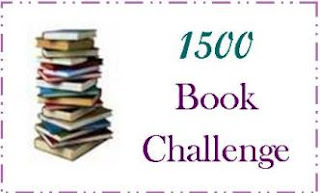 Memorizing the Moments: 1500 Book Challenge - Mission Completed! Back in January I decided we would do a 1500 Book Challenge. The goal was to read 1500 unique books within a year, and this past weekend, we finished! We actually read much more than 1500 if you consider all the re-reads. I am so glad we decided to do it. We found some great books that we probably would not have otherwise. At the same time, I am glad we are done! It is more challenging than you would think to keep track of which books you have read and which you haven't. I will still probably keep track til the end of the year, just to see how many we end up reading, but will definitely be relaxed about it. It is also amazing to me to think back to January. I still had a pretty young little guy to read to. Now he is two and reads a lot of the words with me! Before I know it, he will be reading the books to me (maybe we should do another book challenge then!). Now I just have to figure out what we should do to celebrate. Any ideas? Way to go! What a huge accomplishment!